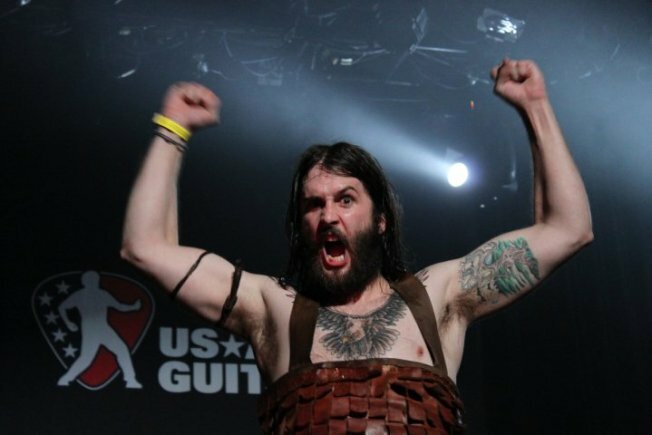 Nordic Thunder is Chicago's 2010 Air Guitar Champion. For those who show their stoke by wailing on an air instrument, the 2011 Air Guitar SF Regional Championships is where it's at this weekend. Head out to The Independent to cheer on local competitors as they vie for a spot at the Air Guitar National Finals in Chicago next month. The winner of the Nationals goes to Finland in August for a sort of Olympics of air guitarsmanship. Here's how it goes: In round 1, each competitor performs a song of their own choice for a panel of judges. Those with the highest scores advance to Round 2, where they'll be hit with a surprise song to perform. Judging is on a combination of technical merit, stage presence, and "airness." Hot Lixx Hulahan, Bay Area local and 2008 World Air Guitar Champion, will be in the house Friday for a halftime performance to show newbies how it's done (check out the performance that won him the title above). Wanna go? We've got a pair of tickets to give away for this Friday's show. Just tell us what song you'd wail to in the comments and we'll choose our favorite answer to win on Wednesday.